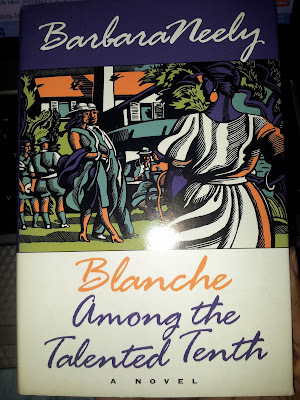 So let’s talk a bit about Barbara Neely’s second book in her Blanche White series, Blanche Among the Talented Tenth, for just a hot second. Jumping from her first murder investigation; amateur sleuth and black domestic worker, Blanche White, finds herself in Maine this time. She's invited to an all-black resort, by a wealthy black couple introduced in her previous adventure. It's both a work/play situation for Blanche. Still, the resort is a place where Blanche spends her time tucking her feet in sand, while chatting with a slew of uppity black folk’. And of the likes she's never seen! Yet, in response to her reception, Blanche will also find the opportunity to teach her pseudo-adopted niece and nephew about race and inner discrimination. Otherwise, involving herself in solving a local murder and suicide takes presidence to all her troubles. While conscientious–but highly unafraid–of those side-eyeing her in the resort as she snoops, there’s some romance swirling in the mix of Blanche’s vacation. And it's a romance that may or may not have a tie to the death of an antagonistic resort guest, who found herself dead after a live stereo slipped into her bath. But who knows? Right? With a wealth of secrets abound, Blanche will get to the bottom of everything with whatever trick and connection she has available to pump information from. While the mystery aspect of the book suffers, I have to reiterate how much I appreciate black female authors writing in this genre. Rarely will you find an honest, sincere character such as Blanche. If that alone. 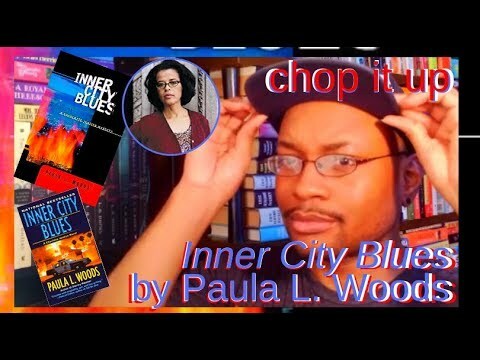 And no other place will you find an author using her character’s voice to not only solve murders, but also give conversation to issues forever stuck in the black community. In Blanche Among the Talented Tenth, such conversations involved black colorism and inner prejudices. Particularly prejudices understood in those who uphold the “one drop” phrase as a source of privilege. But let me break it down just a little–beginning with the reference in the title of the book, "...Talented Tenth.” I believe I mentioned this before on a video or blog post (I read this book for #MarchMysteryMadness), but “...Talented Tenth” refers to an essay written by W. E. B. Dubois. In the essay Dubois forecast how one-tenth of African-American people would follow his or her potential to become leaders of the community, through the pursuits of education and integrity. The concern is that the “talented tenth” phrase associated with the “one-tenth” is synonymous with black individuals with a more Caucasian or European flair. Thus, of course, putting aside the potential of those with an appearance closely indigenous with our ethnic origins. So, in essence, if you’re black with a lighter complexion and have nice hair, you fair better to get into good schools. Subsequently, you get the good jobs and pull better wages. You were the one-tenth up for a leadership role in the black community. You were the standard, and the example. That’s precisely what Barbara Neely explores through the use of her Blanche character, and the black resort filled with the considered "one-tenth." You see, Blanche is a dark-skinned woman; large in frame and wears her natural hair. And another deviant to her possibilities as a “one-tenth”, she works as a domestic housekeeper. It's an occupation many would associate to a contemporary house slave. An occupation easily out classed by her vacation mates. Nonetheless, with all her beautiful features present, Blanche dropped into the Amber Cove resort mostly unconcern with her reception. Unconcerned but with genuine consideration and pity for the community of black individuals that think largely as her opposite. So some discrimination comes her way. However, it’s not limited to Blanche, as she investigates the murder and suicide of two of their “own”. Both were lives snuffed, despite belonging within the "one-tenth" with her light skin, edification, and wealth. So what's the real issue here in this paradise of sorts? And why does it take an intelligence woman so "condemned", such as Blanche, to get to the bottom of both situations? Meanwhile, what level of shame will her "one-tenth" suspects go to stop her from uncovering the truth? I must repeat how the mystery part of the book was not especially outstanding. Personally, I found the theme overrode Blanche's investigation, and Neely's plotting. However, what makes this book fantastic is Neely’s method of sticking with her appreciation of the mystery genre, while taking readers steep into conversations traditionally found in contemporary fiction written by black authors. Which, once again, makes me happy as a mystery lover. No matter how many times the mystery genre gets step-childed, there are no limits to what you can find worth talking about inside it. Especially in places like Blanche Among the Talented Tenth. A book where no amount of prejudice, class, or wealth can excuse an individual's need for control through murder.